The Curmudgeon is upstairs in bed, I can hear him snoring down here. He’s competing with Gavin who is rattling his crate with his snores. 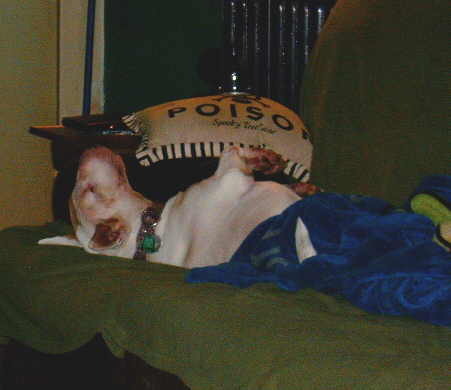 Then there’s Lucy, buried in her blanket on the couch, getting her snores in too. Meanwhile, I am wide awake. Posted on April 24, 2016, in Misc and tagged Author, Caregiver, Disability, Doggoned, Home, Life, Love, Multiple Sclerosis, Writer. Bookmark the permalink. Leave a comment.